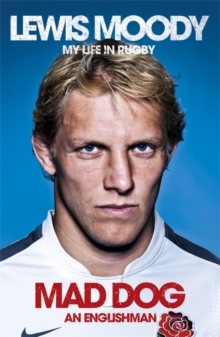 Lewis 'Mad Dog' Moody has been a familiar face in English rugby for fifteen successful and, at times, painful years. The former Leicester and now Bath flanker has seen and done it all in a sport that has changed beyond recognition from his first forays into the sport to the huge spectacle that rugby, and especially test match rugby, has become. Known for his near-suicidal fashion of playing the game, Moody has achieved as much as anyone in the history of the sport, from league, cup and European honours with an iconic Leicester Tigers team alongside the likes of Martin Johnson and Neil Back, to a 2003 World Cup winners medal and an MBE when still a young man. A great deal of heartbreak would follow - pain, illness, self-doubt and dark days in the four years before the next World Cup campaign that saw Moody and England fall in the 2007 final but he re-emerged to finally captain his country to a third World Cup campaign in 2011. Mad Dog - An Englishman is the story, warts and all, of one of the most-loved and respected British sporting figures; a story that allows the reader into the inner sanctum of a top rugby star's life, from the early days of student and rugby dressing room mayhem, to the latter years of dedication to the cause, and utter professionalism against all odds. You may think some of Lewis Moody's adventures are well-known. You would be wrong. In this searingly honest autobiography the original 'Mad Dog' lays himself bare and, along the way, takes you on an incredible journey that will make you laugh, cry and understand what it takes to construct a career as successful as Lewis Moody's.